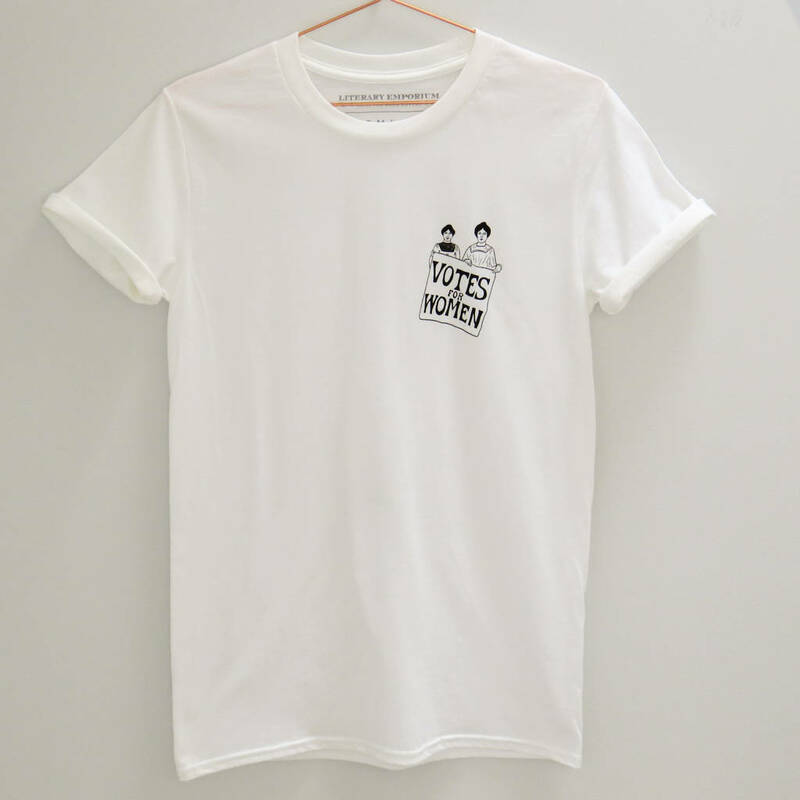 Introducing our ‘Votes for Women’ charity t-shirt inspired by one of the most iconic images to emerge from The Suffragette movement. 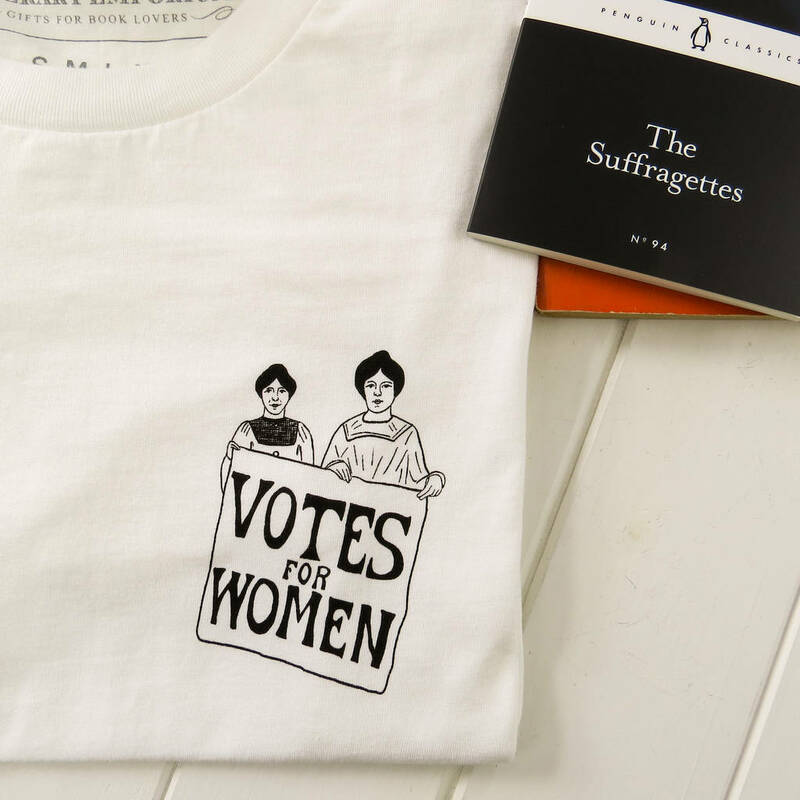 This loose fit unisex t-shirt is screen printed with an illustration of Annie Kenney and Christabel Pankhurst who were dedicated campaigners for women’s suffrage and key figures in the Women’s Social and Political Union organisation. 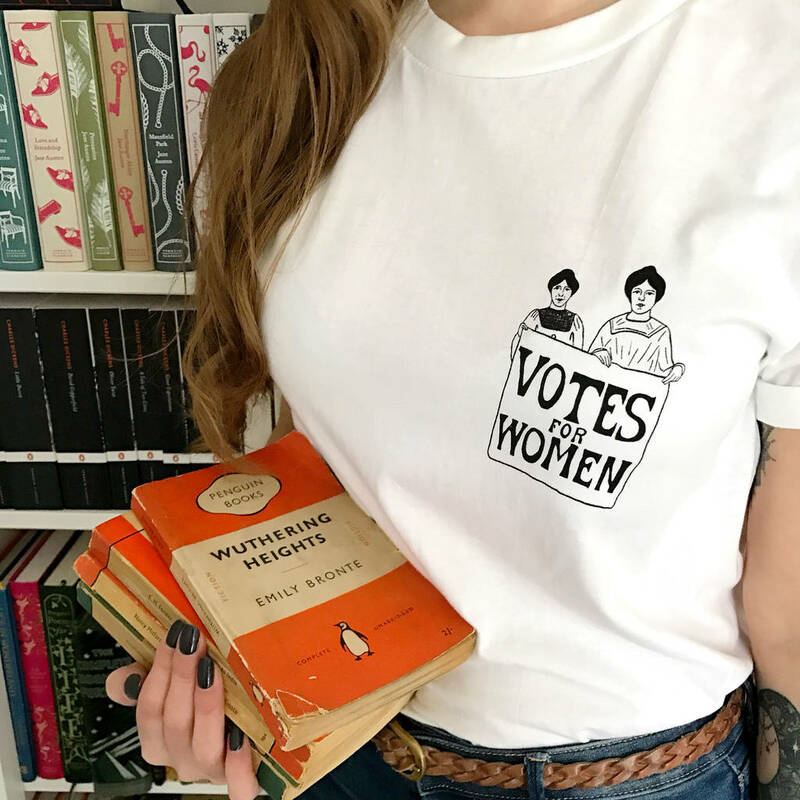 10% from the sale of each t-shirt will be donated to The Fawcett Society. 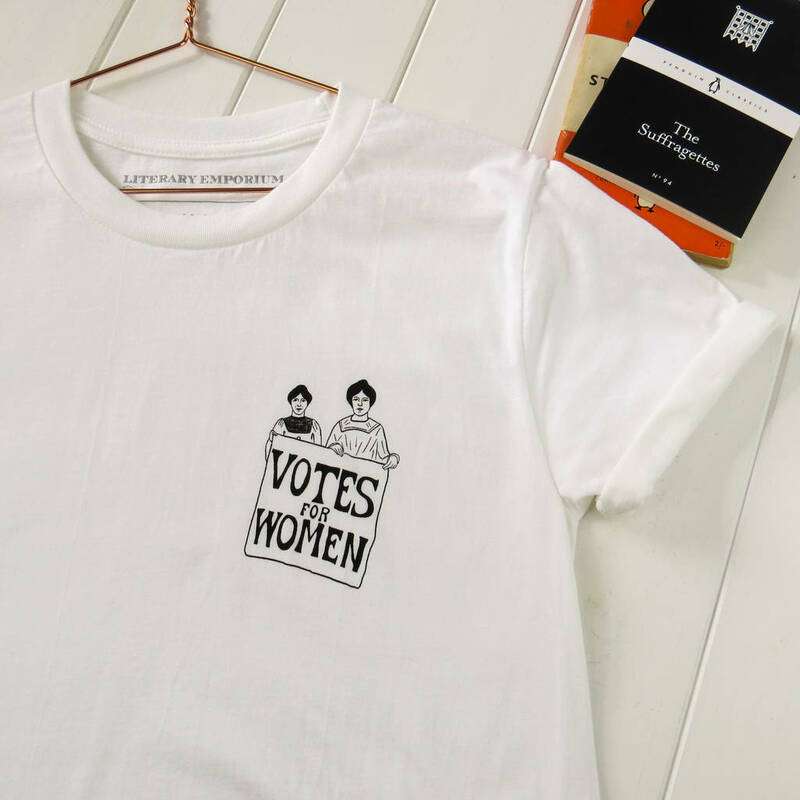 Since 1866, when Millicent Fawcett and other campaigners handed over their petition for women’s suffrage to Parliament, Fawcett have campaigned and researched tirelessly to make changes to women’s lives. Today Fawcett is the UK’s leading charity campaigning for gender equality and women’s rights. 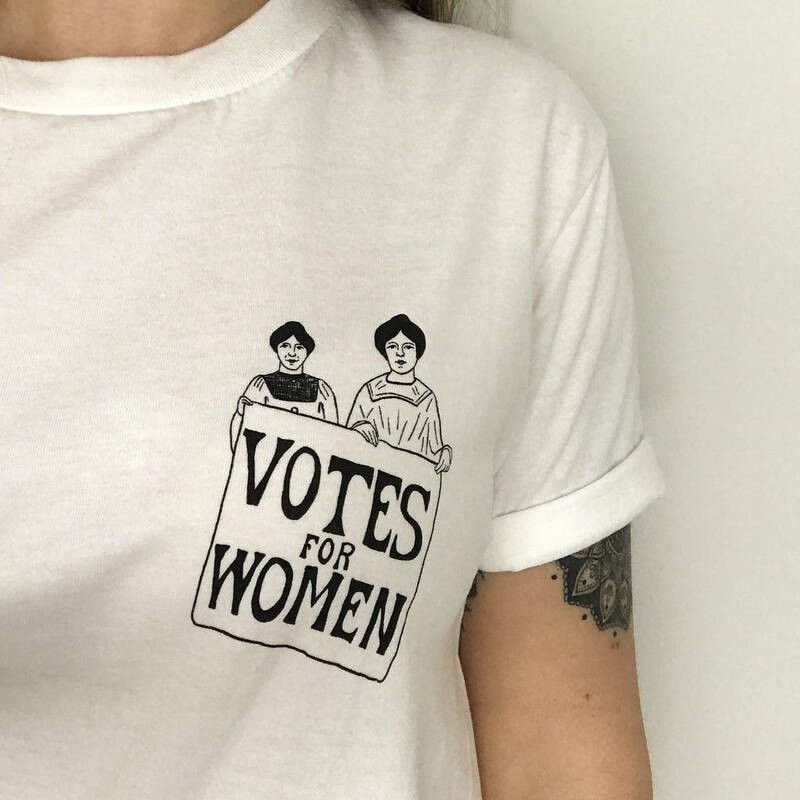 This hand drawn design has been screen printed in the South West of England, onto a soft white t-shirt which is made from 100% premium cotton. The relaxed fit top is a comfy, yet stylish item of clothing. 100% premium cotton. Machine washable at 30 degrees. Do not tumble dry. Do not iron printed area.